Bring oil to a medium high temp and add all ingredients, except the chili flakes and the sesame oil. After they are sizzling nicely, add in the chili flakes and turn off the heat and allow it to cool in the pan. Stir occasionally. Take out the garlic and ginger root and and add the toasted sesame oil. 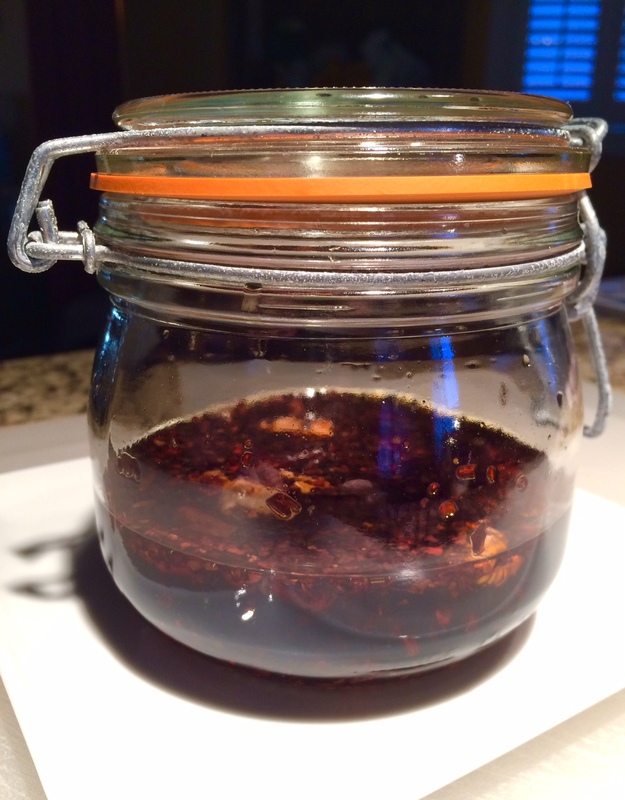 Mix well and let it rest for 48 hours and use as is, or strain and then transfer the pure chili oil into a clean jar. I like to add the chilis on the bottom to my sauces and directly onto my pot stickers.